On Saturday I had the chance to visit Sky and Faith for the first time since the beginning of May. Faith was just about three months old at the time and it was amazing to see how much she has grown. It won’t be very long till she’s weaned from Sky, which is just crazy to think about because I feel like just yesterday I posted about Skype being weaned. Here are a few pictures of Faith and Sky that I took yesterday. Faith is about 5 1/2 months old here. For those of you that have forgotten what Faith looked like when she was first born, here is a picture of her and Sky that was taken when she was only a week old. Shortly after returning from the farm on Saturday, I received some very good news. Sky Above, who is a 2-year-old colt by Artie Schiller and the first foal out of Sky, breezed four furlongs in 48 seconds flat on the all-weather training surface at Fair Hill on Saturday morning. It was the fastest of 20 workers on the all-weather surface that morning. The next fastest work was :48.40. Sky Above has a steady work tab and hopefully he will make his career debut very soon. It would be excellent to see him take a maiden special somewhere before Skype sells in the Keeneland September sale. Actually, “excellent” is probably not strong enough of a word. Perhaps “game changer” would be a more appropriate phrase. 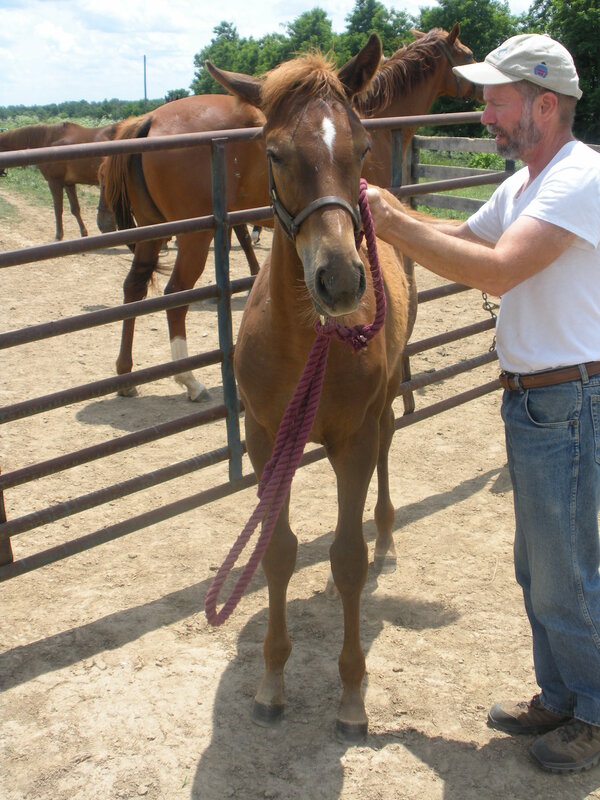 Speaking of Skype…I recently received an update from Tom Evans of Trackside Farm and she is doing very well. Skype was moved to Trackside Farm in Versailles in the middle of June to be prepped for the September sale. Trackside Farm will also consign Skype. Mr. Evans said he is happy with the way she is developing. Hopefully she will keep getting bigger and stronger and she will have all the looks of a racehorse in September. As always, all there is to do is be patient and keep my fingers crossed. That’s all for now. Hope everyone had a great weekend and has a fantastic week. I’ll leave you with a quote from Australian poet, Pam Brown, that I read the other day. In less than a month I will have been a Thoroughbred owner for one year. In my short time as an owner/breeder I have found out that things don’t always work out as planned and, in fact, they rarely do. 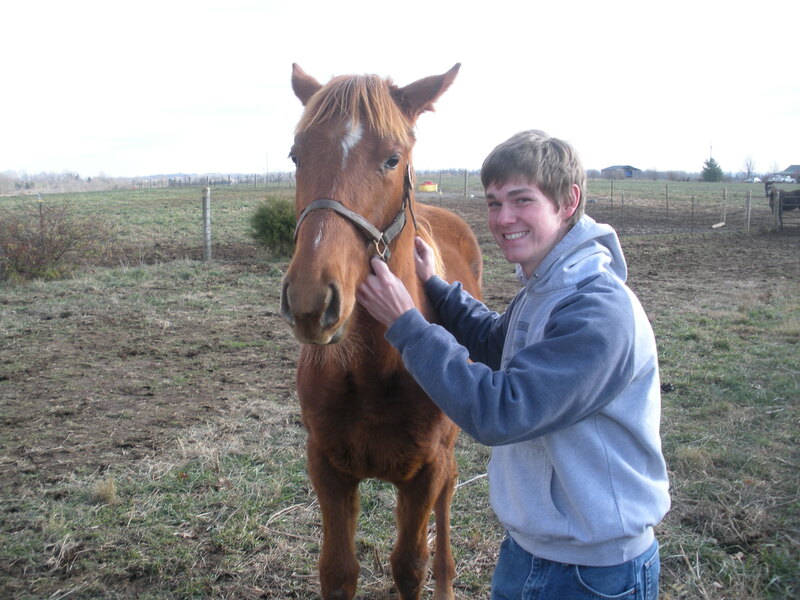 When I originally bought Sky and Skype I had planned to enter Skype in the Keeneland November Sale as a weanling. However, I was advised by many of my friends in the industry that I should wait for the Keeneland January Sale. The November sale was too big for a weanling by a non-commerical stallion and out of a non-stakes performing mare with a blank first dam. It made sense and I took their advice. So my plans changed and I set my sights on Keeneland January. I was fortunate enough to work the entire Keeneland September Yearling Sale for Bluewater Sales. It was an amazing experience and I’ve never learned more in a two-week period of time. It was while working this sale that I realized just how rough the market is right now. I watched hundreds of horses go through the ring for one or two thousand dollars and then would look down at my catalogue and have to pick my jaw up from the floor. Horses with fantastic pedigrees were going for nothing. What was wrong with them? Was the scope grade not perfect? Did the vet find something in the x-rays? It could have been a million things. I discovered that a horse that doesn’t have all the pieces of the puzzle will bring little to no money at auction. It has to be by the right stallion, out of the right female family, have winning siblings, look the part of a potential athlete, and have a perfect vet report. Just one missing piece and it all comes tumbling down. To say it was scary for me to watch horses go through the ring on the final days of the sale would be an understatement. Larger breeders and pinhookers can make up for several horses selling for close to nothing by hitting big with a couple of others. Unfortunately, like so many other breeders, I don’t have that many shots. In fact in my case, I have just one. After the September sale I began to question my decision to put Skype into the Keeneland January sale. I had several consignors come out to look at her and their opinions varied on what Skype would bring at the January sale. The optimistic consignors told me that if she had a clean vet report that she could bring the stud fee (Even the Score stood for $15,000 at the time he was bred to Sky). In order to put Skype through the ring at the January sale, it would cost me close to $4,000 (entry fee, minimum consignment fee, transportation to the sale, x-rays, board at the sales grounds, and sales prep). So, if Skype vetted cleanly, looked good at the sale, and had a few people on her, then she had the potential to bring around $15,000. If she went for $15,000 then I would be paying over 25% of her sales price to put her through the ring! And what if she didn’t bring $15,000? What if enough people didn’t get a look at her or someone found something on the x-rays? What then? Would she even bring the $4,000 to cover the expenses? It’s possible that she wouldn’t and I would lose money and lose my horse. I decided that I couldn’t take this risk. Like I wrote earlier, I just have one shot and so I have to make it count. I decided to not enter Skype in either the Keeneland January or Fasig-Tipton February sales. The risk-reward of putting her in a public auction just didn’t add up. Instead, I will be looking to sell Skype privately. This will save me money on commission and entry fees and will allow me to protect my interests a lot more than I would have been able to at a public auction. I have some ideas about how to market Skype and I already have a few people interested in her. I am hopeful that there will be more to come and I believe there will be. Skype has good size and scope and has the potential to develop into an attractive racing prospect. If I can find someone who believes in her one-tenth as much as I do, then I’ll find a buyer. So that is the plan for now, but I don’t know what curveball this game will throw me next. Maybe this time the plans will work out and maybe I’ll be writing another post in the future about another plan. I have heard the quote, “If you want to hear God laugh, tell Him your plan.” I do not know the original origin of this quote, but I wouldn’t be surprised in the least to find out this person owned Thoroughbreds. I know God has a plan for me…I’m just hopeful that plan includes selling Skype for six figures ;-). Winston Churchill once said, “There is something about the outside of a horse that is good for the inside of a man.” This has always been one of my favorite quotes and I really believe in it. The fall semester of my senior year is coming to an end and it is a very stressful time. Final papers are due and it seems like I have an exam every day. To say that I have been a little stressed these last couple of weeks would be an understatement. In fact, this last Friday I had a term paper due and was forced to pull an “all-nighter” on Thursday in order to complete the assignment. I turned in my paper to my professor on Friday and was back home around noon. I contemplated taking a nap because I was completely exhausted, but instead I headed out to Frank Mitchell’s farm, The Croft, to see my girls Sky and Skype. It was a great decision on my part because it completely rejuvenated me. For an hour, I forgot about my upcoming exams and thought about nothing other than how lucky I am to own Sky and Skype. It’s amazing what those two horses do for my morale. I took some pictures while out at the farm and wanted to share them with the blog’s readers. Sky looks great and Skype is getting bigger each day and is really starting to look like her Mom. Enjoy the photos and have a great week! Skype just gets bigger every day! So happy to see Sky. It’s amazing how much Skype looks like her. The Manley family vacation to Saratoga has come and gone. Today both of my parents went back to work and tomorrow I will be heading back to Lexington to prepare for my senior year at UK. While I was in Saratoga I received some news from my farm manager, Frank Mitchell, regarding Skype. 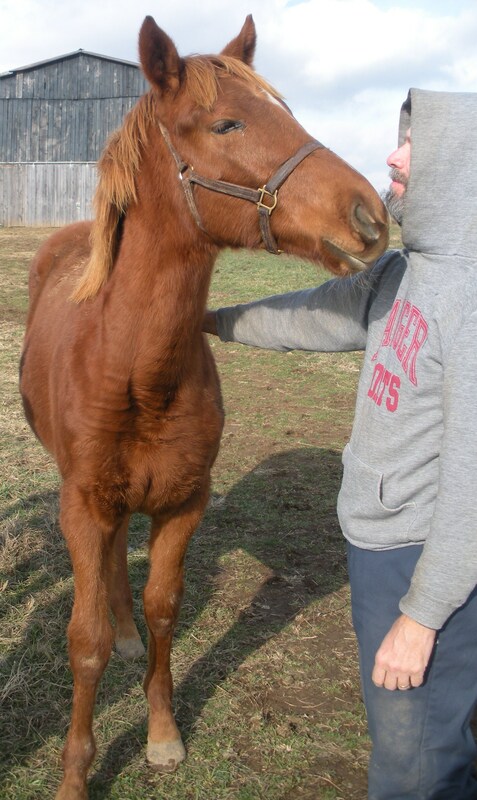 My Even the Score filly, Skype, is now officially a weanling. According to Frank, both Sky and Skype have handled the weaning process very well and both are happy and healthy. 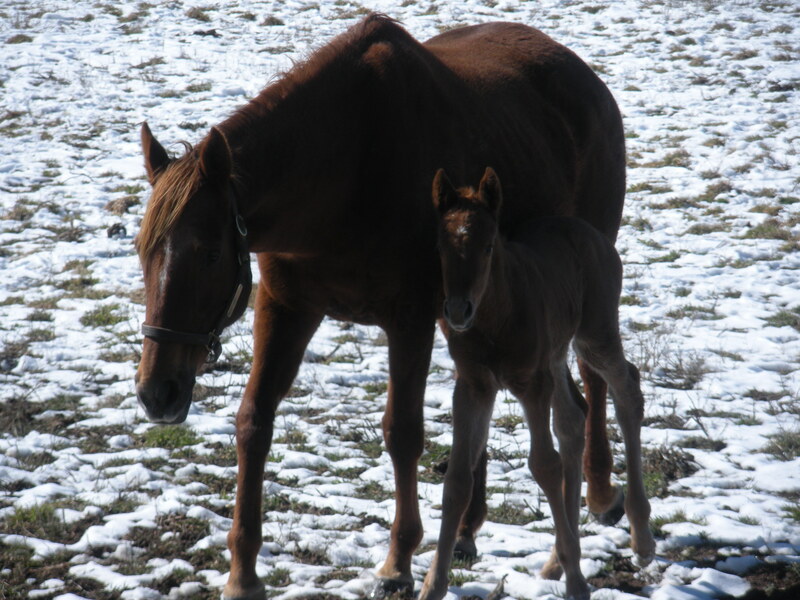 Skype remained in her normal paddock with some nanny mares and another weanling, a Nobiz Like Shobiz filly nicknamed Gizmo. Sky moved across the farm to a different paddock with Gizmo’s dam and a couple of other broodmares. The other piece of news regarding Skype is actually more of an announcement. I have been debating on what to do with Skype for months now. The original plan was to send her to the Keeneland November sale, but I decided against that after consulting with Frank, my dad, and a few consignors. The next idea was to try to sell Skype privately, but that idea was eventually turned down as well. Other ideas discussed included selling Skype in next year’s Keeneland September sale, syndicating her and selling shares of her, and keeping her and racing her myself. I’ve done a lot of thinking and the decision was not easy, but I have made a final decision regarding my girl. Skype will be going into the Keeneland January sale and will be consigned by Warrendale Sales. Warrendale was the first consignor to come to Frank’s farm and take a personal look at Skype and they pursued the opportunity to consign her more than any other consignor. Also, Warrendale’s Hunter Simms has a special connection with Sky. 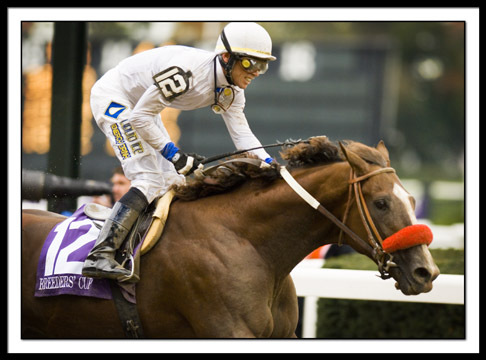 He worked with Sky as a young filly while she was at Stone Farm, where she was bred. I wrote a post a couple of months ago about meeting Hunter for the first time and it can be read at https://reachingforroses.wordpress.com/2010/06/14/what-a-small-world/. So, that’s the plan. The January sale is about five months away and hopefully everything runs smoothly between now and then. Hello, readers! It is good to be back on the blog. Unfortunately, a big storm in Lexington last week knocked out my Internet and I’ve been living without it ever since. I was hopeful that it would be back up soon, but that doesn’t seem likely. Therefore, I am reporting today from a Starbucks that is just a few blocks from my apartment. Today I will be giving some updates on things going on in my life. Here it goes. Today is my final day off from work at Chesapeake Farm, as my final day will be this Thursday. It was a great experience and I learned more than I ever could have imagined. 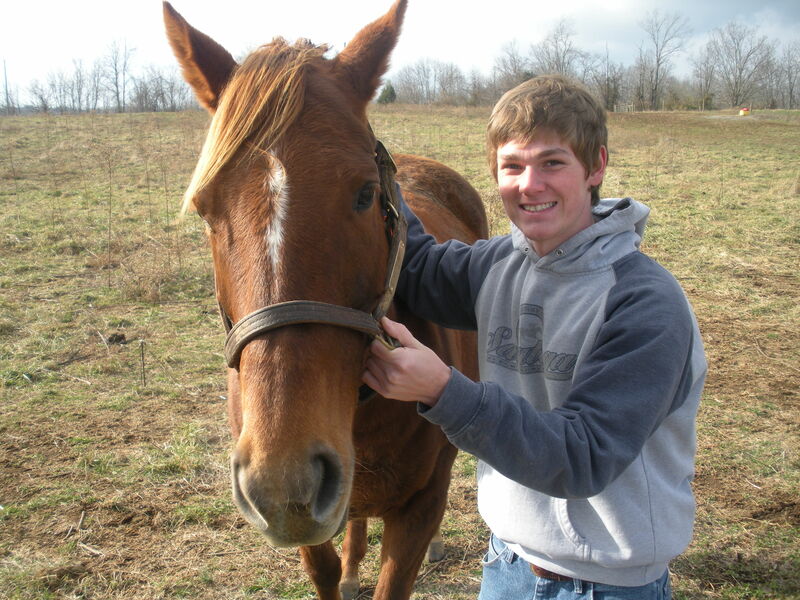 It’d be great to continue working at the farm; however, I am going back to school at UK for my senior year in just a few weeks and my school schedule does not work with the farm’s schedule. I will be making a trip up to Saratoga for the races and sales and I’m incredibly excited. My family and I have made the trip to the Spa every year since 2004, but there were fears that it just wouldn’t work out this year. Thankfully, everything came together and we will be in Saratoga from August 1st through the 9th. Woohoo! I’ve decided that I am going to do a very short preview of the Fasig-Tipton Saratoga sale. This time I will just be giving the hip numbers to watch and nothing more. Also, I will only be giving 10 hips to watch a day for a total of 20. This is a select sale and so I figured I should also be very selective. If you’re interested in taking a closer look at my hips to watch, then you can look them up at http://www.fasigtipton.com/catalogues/2010/Saratoga-Selected-Yearlings/Saratoga-Selected-Yearlings.asp. Day 1 Hips to Watch: 2, 3, 12, 23, 38, 50, 80, 85, 94, and 99. Day 2 Hips to Watch: 110, 119, 122, 131, 139, 142, 153, 164, 178, and 199. My Even the Score weanling, Skype, will no longer be going to the Keeneland November sale and we are pointing to the Keeneland January sale. I will be posting more about this decision soon. That’s it for now. Hope everyone had a great Monday and that my next post will be sooner rather than later. 1. Is Keeneland November the best place to send Skype? There are a couple of other options out there and I must decide if Keeneland November is a right fit for my filly. The two other options are the Keeneland January sale and the Fasig-Tipton February sale. Would one of these sales be better for Skype than Keeneland November? 2. Who should I use to consign Skype? There are dozens of very nice consignors in Kentucky and picking one to go with is a tough decision. I must also decide whether it would be best to send Skype to a mega-consignor that will have 70 weanlings at the sale, a medium-sized consignor that will sell around 35 weanlings, or a smaller consignor with maybe only 5 to 10 weanlings (obviously these numbers are applicable only if I send her to Keeneland November). Would it be better for her to be a standout in a small consignment or a member of a larger consignment where she might get looked at more often? Would she be seen by many potential buyers in a small consignment? Would she get lost in the mix of a big consignment? 3. Private sale versus public sale. The option is also there to try to sell Skype privately and not send her to a public auction. The benefit here would be not having to deal with the uncertainty of what she will bring at auction. Also, if I sold her in the near future, I would be saving thousands of dollars on sales-prep fees. Will I get the price I want for her if I sell privately? Will I be able to find a buyer for her before entries are due for Keeneland November? One of the reasons that I purchased Sky and Skype was for me to learn more about the breeding and sales industries from the inside. Sure, people can learn a ton about the industry without being an owner or a breeder, but my dad and I knew this would be a way to strengthen my knowledge of this game. Since I can remember, my dad and I would have discussions about horses we did not own; where to race them, what trainer to send them to, what stallion to breed to, what consignor to use, etc. and the decisions always seemed easy. However, I’ve learned that everything changes when I’m using my money and they’re my horses. The decisions are no longer easy and, in fact, they’re downright tough. 1. Put a group of mares and foals together in a pen and then remove all the mares. 2. Put all mare and foal pairs into their individual stalls and then remove each mare, leaving the foal behind in the stall. 3. 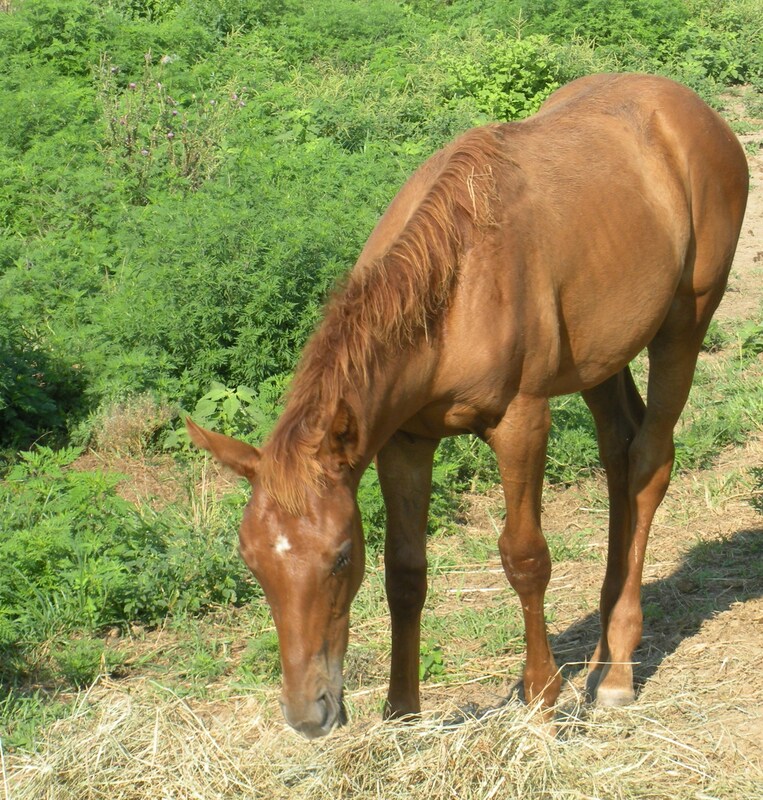 Bring a group of mares and foals into their pasture and then remove half the mares. Wait a couple of days and then remove the remaining mares. 4. 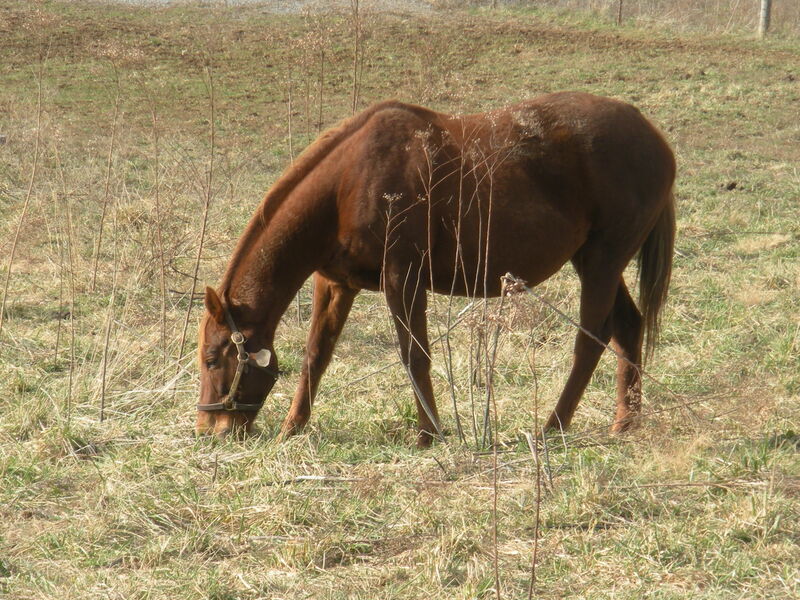 Bring a large group of mares and foals into their pasture and remove one mare a day until all the mares have been removed. 5. Gradually wean the foal by separating it from the mare for increasing lengths of time. Eventually separate the mare and foal permanently. 6. 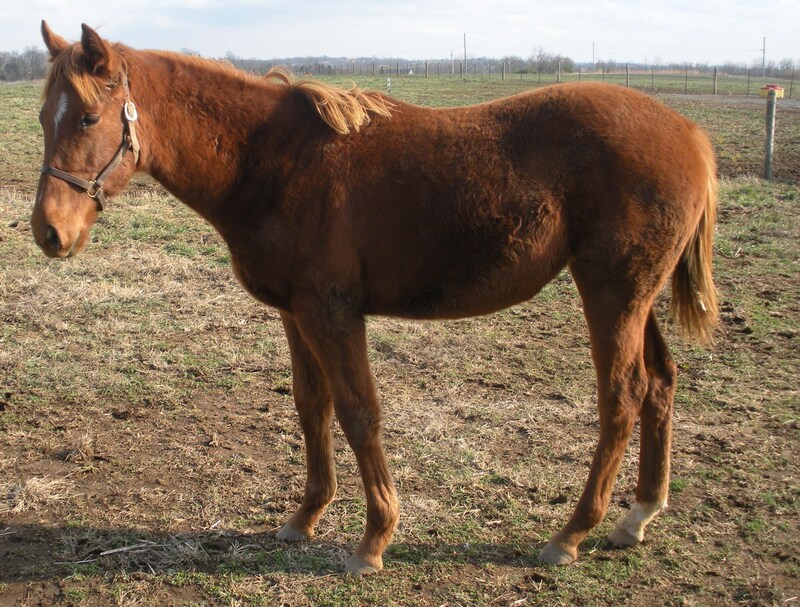 Gradually wean the foal by separating it from the mare and placing the mare in the next stall. 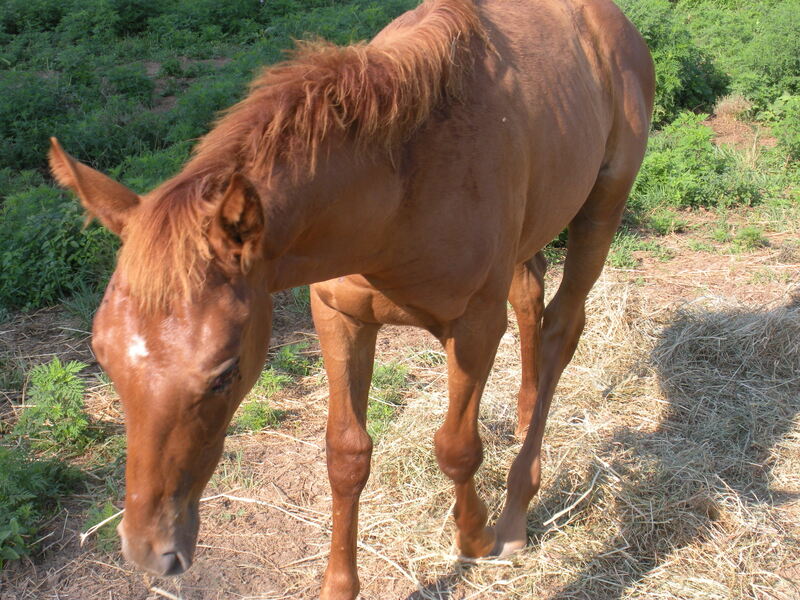 The foal can still see and smell the mare, but will not be able to have physical contact or nurse. 7. Fence-line weaning. 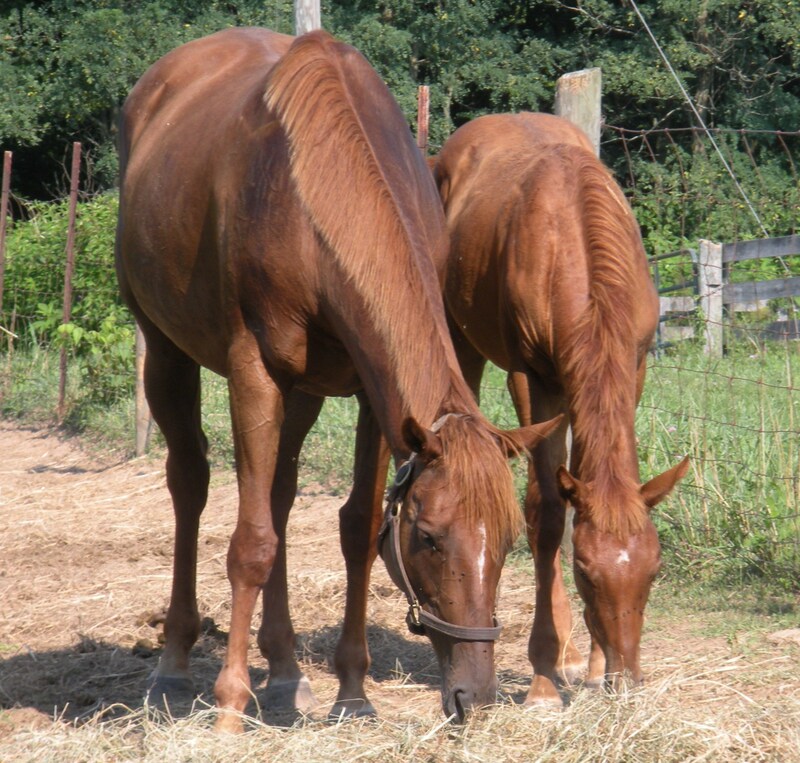 Mares and foals are placed in separate, but adjacent, pens. After a week or two the mares are taken to another pasture, far away from the group of foals. I would by lying if I said that I’m not slightly nervous about weaning Skype from Sky. I am more worried about Sky because this will only be her second time through the weaning process and she is currently in-foal. Thankfully, Sky is now about 100 days post-cover, so hopefully she’ll have no problem carrying her pregnancy through the process. It will be stressful on both Sky and Skype, but it is something that must be done and it happens to 35,000 mares and foals every year. It’s just another process that comes with raising horses. Today I was reminded just how small this world really is and that the world of Thoroughbred breeding and racing is even smaller. As many of the readers know, Skype is going to be sold as a weanling in the Keeneland November sale. November is a good time from now; however, the papers for the sale are due to Keeneland by the beginning of August; just six weeks away. Therefore, recently I have begun to get things in order for the sale: getting Skype’s registration papers together and talking to potential consignors. My communication with the few consignors I’ve been considering had been limited to phone calls and e-mails. Today that changed when I met a potential consignor out at Frank Mitchell’s The Croft to take a look at Skype. Pretty amazing stuff, right? What a small world this industry is and what a memory on that guy. It had been six years since he had worked with the horse and he still remembered Sky’s sire and dam. Well after he had visited with Sky, he began to look at Skype. Frank walked Skype several times and the man studied her walk and confirmation and took notes on what he was seeing. We were out in the field for about twenty minutes and then he said that he saw what he needed to see. He told me that they would like to consign Skype for me at the November sale because she has a great body to her and he has a personal connection with Sky. I told him that I would do some thinking and get back to him soon. So that is what I am doing now: thinking; and I have a lot of it to do.